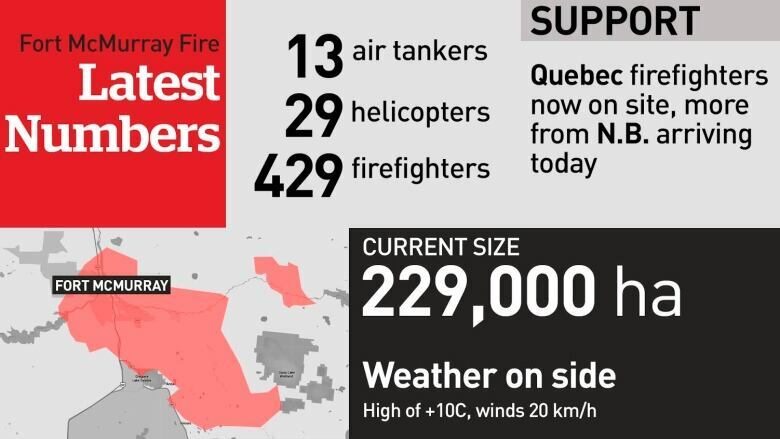 Firefighters are starting to believe they have the upper hand against the 229,000-hectare wildfire near at Fort McMurray, Alta., that has forced tens of thousands of people out of their homes. "We think we got this thing beat in McMurray," said Darby Allen, fire chief for the Regional Municipality of Wood Buffalo. "We're looking pretty good. We're still worried about our communities in the south a little bit, but we'll get it." Firefighters from Quebec arrived Tuesday, with 22 New Brunswick firefighters scheduled to arrive Wednesday. 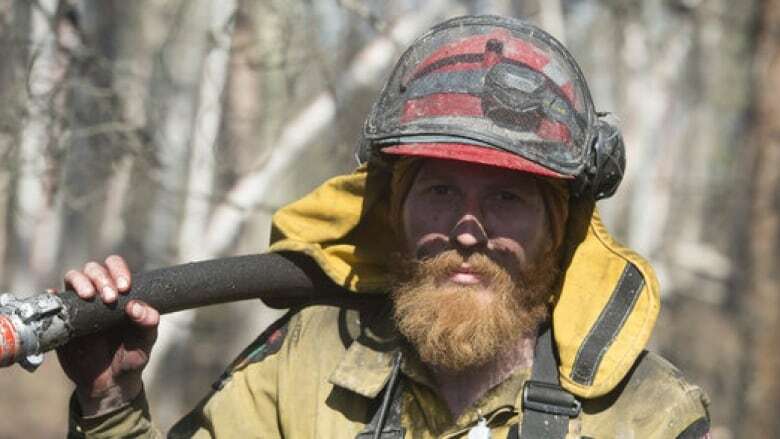 The newcomers will give exhausted firefighters some rest, said Matthew Anderson, Alberta wildfire information officer. "The crews are rotating out getting much-needed rest. It is certainly great to have the other firefighters coming in to help. And no doubt we will be working on this fire for quite some time." Anderson said extinguishing the fire will take a month or two. "That entire area we have to go back over, looking for hot spots," he said. "We use infrared scan and the crews have to get in, find the hot spots and dig them up and make sure they are fully extinguished, that there is no little flare up." With the fire on the run, Darby made a promise to the people of Fort McMurray. "We'll get you back as soon as we can. We promise." Get breaking news alerts on this story and others. Download the CBC News app for iOS and Android.